The farmer used an app on her phone based on TensorFlow, Google’s Artificial Intelligence (AI) machine that the company outsourced to help developers create solutions to real-world problems. When people think of Artificial Intelligence, they most likely think of scenes from science fiction movies, but in reality, it applies to everyday life from virtual assistants to language translation on Google, says John Quinn, an AI researcher.Google now wants to position itself as an “AI first” company and with research centers across the globe in places such as Tokyo, Zurich, New York, and Paris.And last week, the technology company opened its first center in Africa in Ghana’s capital city, Accra. Read MoreBenefits of AIAI can be applied in sectors such as agriculture, health, and education, and Moustapha Cisse, the research scientist heading up Google’s AI efforts in Africa, says his team’s goal is to provide developers with the necessary research needed to build products that can solve problems that Africa faces today. 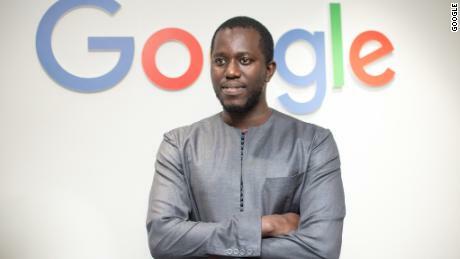 Moustapha Cisse, Africa team lead at Google AI.”Most of what we do in our research centers at Google and not just in Accra, we publish it and open-source code, so that everybody can use it to build all sorts of things,” he said.Cisse mentioned the app used by the Tanzanian farmer, to diagnose her cassava’s disease as an example of the type of product his team plans to collaborate on with relevant institutes across various sectors.”A team of Pennsylvania University and the International Institute of Tropical Agriculture using TensorFlow to build new artificial intelligence models that are deployed on phones to diagnose crop disease.”This wasn’t done by us but by people who use the tools we built. 'Ghana is the future of Africa': Why Google built an AI lab in Accra“When we do science, the results of our research, usually and hopefully, because it is of good quality, goes way further than we expect and we are hoping to see the same things happen here in Accra and across Africa,” Cisse said.Cisse, an expert from Senegal, says the center directly engages with researchers in African universities by providing grants to those interested in the various fields of AI and giving Ph.D. scholarships.He added that Google also supports graduate programs in Machine Learning at the African Institute for Mathematical Sciences in South Africa.Cisse leads a team of nine others that include research scientists and software engineers. Team members come from nine different countries such as Lesotho, Uganda, and Ireland, among others.It is a diverse team, and Cisse says it is important that Africans are at the forefront of providing solutions to problems on their continent. 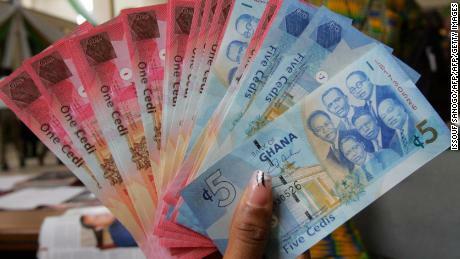 Google regrets 'minor glitch' that sent Ghanaian currency plummetingThe center will also focus on enhancing Google Translate’s ability to capture African languages more precisely, with Cisse saying a continent with more than 2000 dialects deserves to be better served.Google joins Facebook and other tech companies, in launching projects in Africa with a keen eye on the continent’s rising youth population. Algorithmic biasEven so, Silicon Valley companies still struggle with diversity. A recent CNNBusiness report shows that many employees want real change from their companies after years of paying lip-service to the issue. Because AI fundamentally works based on the data that is fed into it, it sometimes displays a real-world bias that isn’t inclusive and representative of all end users, says Nyalleng Moorosi, a software engineer at the center whose work focuses on making AI more diverse. 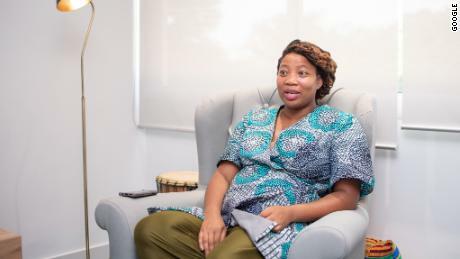 Nyalleng Moorosi, software engineer at Google AINot long after it launched in 2015, Google Photos tagged images of black people as “gorillas” drawing criticism and leaving the company scrambling to fix the issue.Moorosi who hails from Lesotho and holds a bachelors degree from a liberal arts college says her background means she sees the issue as a human problem that needs to be fixed by diversifying the samples used to gather data.She said that more Africans would be included in data gathering to provide an accurate representation of users.”When you build something, you think it will only work for the world you know and your neighborhood. And you forget that maybe it can be so great it becomes deployed to foreign neighborhoods,” Moorosi said.”The best way to go about is to have diverse teams working on these algorithms and then we will get somewhere.”Privacy concernsAI works because a lot of personal data is fed into it, and with that comes privacy concerns over what happens to the data people hand over to a large company like Google.Cisse says Google’s AI principles aims to build trust between the people who create the technology and the end users, and the technology should be aligned with the values of society.”We have to build an algorithm that is fair and respects the privacy of the user and is transparent,” he said.With the center now operational after starting a few months behind schedule, Google’s bet on AI having a transformational effect in Africa will now be put to the test. The continent is waiting.